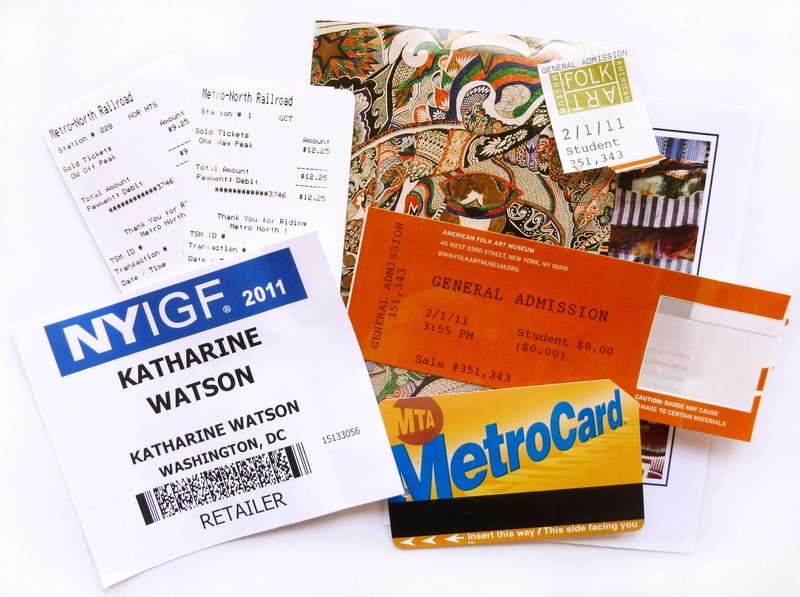 This week I took the bus up to New York to see the New York International Gift Fair. It was my first time at a trade show, and I loved it. One good thing is that you can't actually buy anything at the show, so it was like shopping without the pressure of buying. I met so many people I knew from reading blogs or seeing their work, and it was great to see the people behind the products. The purpose of my trip was to get ready for the National Stationery Show in May. I wanted to see what sort of booth displays and setups people had so I can start working on my own. The range of displays was huge, from booths that looked similar to what you would see at a craft fair, with tables and curtains, to fully recreated houses you could go into. I don't exactly have the budget to something for that scale, but it gave me a good idea of what works and what doesn't. The things that stood out while I walked around were scarves from Patch NYC, picture frames from Shiraleah, cards by Sanna Annukka from Vigo, and necklaces from Jane Hollinger Jewelery. I'm sure I missed a lot of great stuff since there was a seemingly endless number of vendors at the show, and if I were a buyer I probably would have gone for the full five days rather than just one. Now I know how much work I have to do before May: there are postcards to order, price lists and order forms to assemble, shelves to build and products to finish. But if the Stationery Show is as exciting as the NYIGF, then I can't wait.